Nasal septum deviation (NSD) is seen more frequently in babies born to vaginal birth! There are many studies that emphasize that nasal septum deviation (NSD) is seen more frequently in babies born to vaginal birth than babies born to caesarean section. Of course, there are many advantages of natural birth process (normal vaginal delivery), but the recommendations of your own gynecologist and obstetrician will be the best for you. The nose, the most prominent part of the face, is not surprisingly exposed to an enormous amount of compression and spinning force in intrauterine life and during the delivery process. 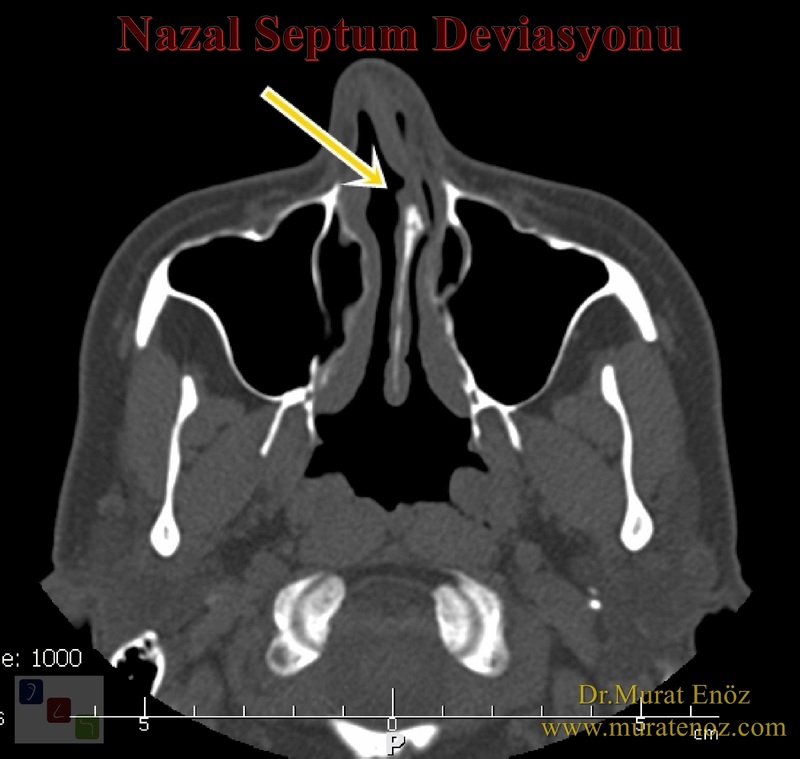 Therefore, nasal septal deformity is not uncommon in neonates. In general, the etiology of NSD can be classified as congenital, genetic effects that produce a mass effect from abnormal growth, trauma, infection, or even nasal cavity neoplasms. In other words, mechanical pressure and trauma to the nose, infections and rarely intranasal tumor masses cause nasal septum deviation. Deviation of nasal septum and growth of nasal flesh is the most common cause of nasal obstruction. In newborns, the frequency of septal deviation may vary from 1.45% to 6.3% (a large number of neonates have deviations in the nasal septum, with studies showing that the incidence is between 2.9% and 31% in various studies). In a recent study, the prevalence of septal deviations in newborns was analyzed and it was found that there was a high rate of 22% in children born by vaginal delivery, but only 4% of births were observed by cesarean delivery. It has been suggested that trauma to the septum from vaginal delivery is a common cause of NSD. When occipitomental radiographs were evaluated, the prevalence of NSD was approximately 20% in school-age children aged 6-15 years, and approximately 10% of children in the same study had clinical symptoms. Of course, the probability of symptomatic nasal septum deviation is very low in newborn infants. It has been emphasized that the incidence of septal deviation in vaginal delivery of newborns with high birth weight is increased as in the case of emergency vaginal delivery. As we know, babies are mandatory nasal breathing devices, nasal congestion leads to cyanotic spells, high pulmonary resistance, and may even cause respiratory failure. In the literature, traumatic subluxation of the nose causing acute respiratory distress and cyanosis in neonates has been reported. In addition, nasal congestion, aerophagy (air swallowing) and infected nasal discharge can cause poor nutrition and colic pain. Infants with severe septum deviation tend to experience sinusitis, epistax, eustachian tube dysfunction, otitis media, upper and lower respiratory tract infections, dental diseases and poor general health. Many of these deformities persist in adulthood and may cause physiological, anatomical, psychological and cosmetic complications. 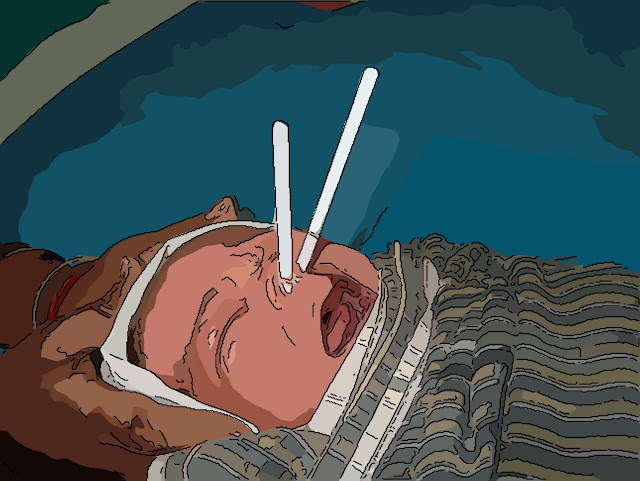 Test for screening septum deviation in newborn babies: "Gray 's Strut Test"
Silastic strips of 4 mm width and 2 mm thickness are placed in each nostril after lubrication to understand the nasal septum deviation in newborn infants. 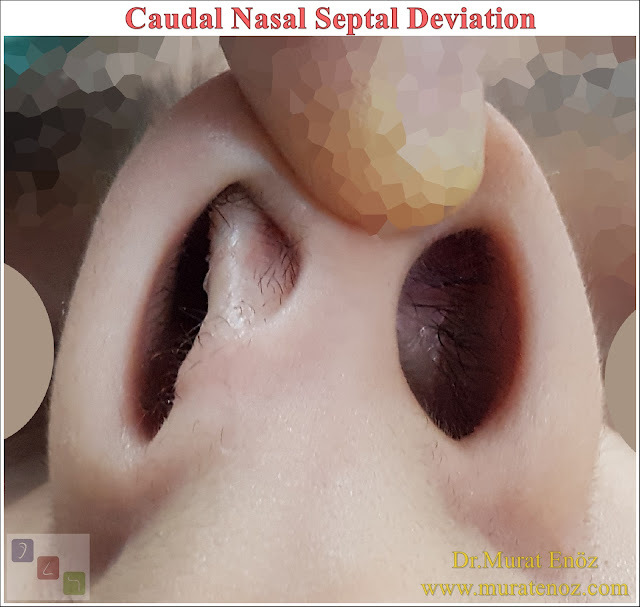 Septal deviation of newborns is associated with the asymmetry of the nostrils, the oblique columella and the tip of the nose pointing in the opposite direction to the deviation. Most of these patients can be diagnosed using Gray's Strut Test. These rods are 4mm wide and 2 mm thick and are lubricated after being lubricated and inserted on the nasal septum by gently pushing back along the floor of the nasal cavity. Normally, these rods can be used for a distance of 4-5 cm, but in the case of septal deviation, it is seen that the bars cannot be advanced at a distance of 1 to 2 cm from the nostril. Normally, ent doctors can see the location and amount of the septum deviation by a simple nasal endoscopic examination and tell the effect of nasal obstruction.